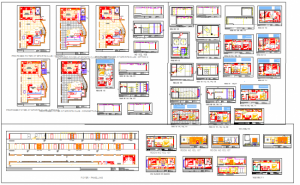 Hotel Building Design, first floor layout plan, second floor layout plan, third floor layout plan, 4th 5th & 6th floor layout plan, seventh floor layout plan, roof deck floor layout plan, fire alarm schematic diagram plan and fire alarm system layout plan of hotel building design. ALT Hotel DWG. 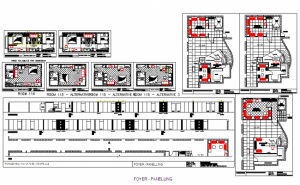 floor plan – pavement type-1 & type- 2, floor plan coverage A & B, layout plan detail and floor plan detail of ALT hotel design at Canada. 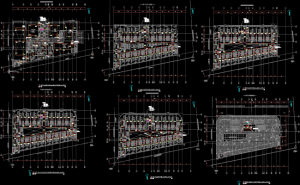 Mezzanine Hotel DWG. In architecture, a mezzanine or entresol is an intermediate floor between main floors of a building, and therefore typically not counted among the overall floors of a building. Often, a mezzanine has a low ceiling and projects in the form of a balcony. The term is also used for the lowest balcony in a theatre, or for the first few rows of seats in that balcony. the mezzanine began in 1996. 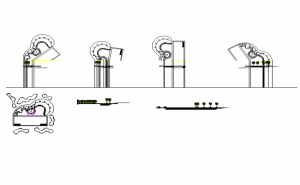 Modern Hotel Plan DWG. 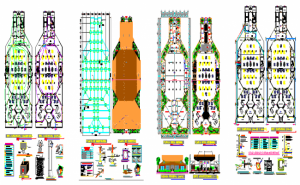 9 autocad file define the lay-out plan, floor plan, hotel roof deck plan, Hotel typical ceiling plan and much more information of modern hotel plan.